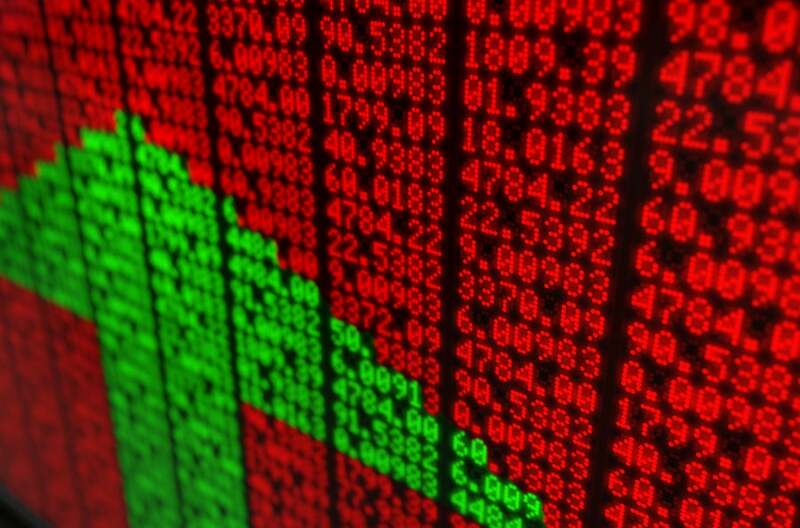 Cleveland-Cliffs Inc. (CLF - Free Report)	delivered fourth-quarter 2018 net earnings of $609.5 million or $1.98 per share, up from $309.9 million or $1.03 in the prior-year quarter. Barring one-time items, adjusted earnings came in at 55 cents per share, which missed the Zacks Consensus Estimate of 57 cents. Revenues rose 36% year over year to $696.3 million. Also, the figure trailed the Zacks Consensus Estimate of $714.1 million. In 2018, net income came in at $1,128.1 million or $3.71 per share, up from $367 million or $1.26 a year ago. Revenues jumped 25% year over year to $2,332.4 million. Pellet sales volume was 6.5 million long tons in the fourth quarter, up roughly 21% year over year. The upside was mainly driven by healthy customer demand along with two additional customer contracts. Revenue rate per ton improved 19% year over year to $99.42, mainly driven by higher steel pricing and pellet premiums, boosted by favorable contract structures. The increase was partly offset by a negative true-up adjustment associated with index hot-rolled steel pricing that dropped significantly during the fourth quarter. Cash cost of goods sold and operating expense per long ton increased 11% year over year to $65.43. The increase was caused by higher employee-related expenses and royalties along with unfavorable LIFO impact. As of Dec 31 ,2018, Cleveland-Cliffs had cash and cash equivalents of $823.2 million, down from $978.3 million as of Dec 31, 2017. Long-term debt was $2,092.9 million at the end of 2018, down 9.2% year over year. Net cash from operating activities was $478.5 million for 2018, up 41.5% year over year. 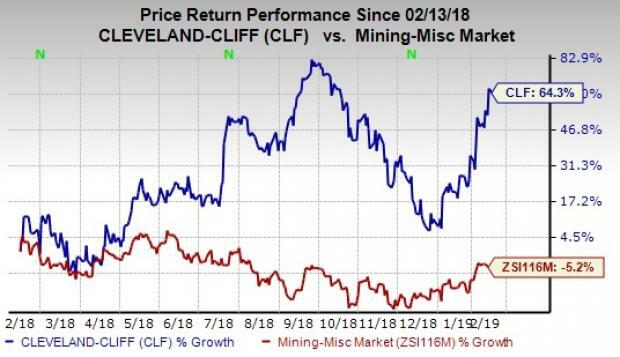 For 2019, Cleveland-Cliffs expects to realize Mining and Pelletizing revenue rates per long ton in the range of $102-$107. The projection assumes that iron ore prices, pellet premiums and steel prices will average at their respective January 2019 averages. Mining and Pelletizing revenue rates are expected in the range of $111-$116 per long ton for 2019 based on the spot prices as of Feb 7, 2019. The company expects sales and production volumes of its productive capacity at roughly 20 million long tons the full year. Mining and Pelletizing cash cost of goods sold and operating expense are projected in the band of $62-$67 per long ton. Cleveland-Cliffs’ shares have surged 64.3% in the past year, against the industry’s 5.2% decline. A few better-ranked stocks in the basic materials space include Rio Tinto plc (RIO - Free Report)	, The Mosaic Company (MOS - Free Report)	and Israel Chemicals Ltd. (ICL - Free Report)	. While Rio Tinto and Mosaic currently sports a Zacks Rank #1 (Strong Buy), Israel Chemicals carries a Zacks Rank #2 (Buy). You can see the complete list of today’s Zacks #1 Rank stocks here. Rio Tinto has an expected earnings growth rate of 5.1% for 2019. The company’s shares have inched up 1.1% in the past year. Mosaic has an expected earnings growth rate of 24% for 2019. Its shares have rallied 22.7% in a year’s time. 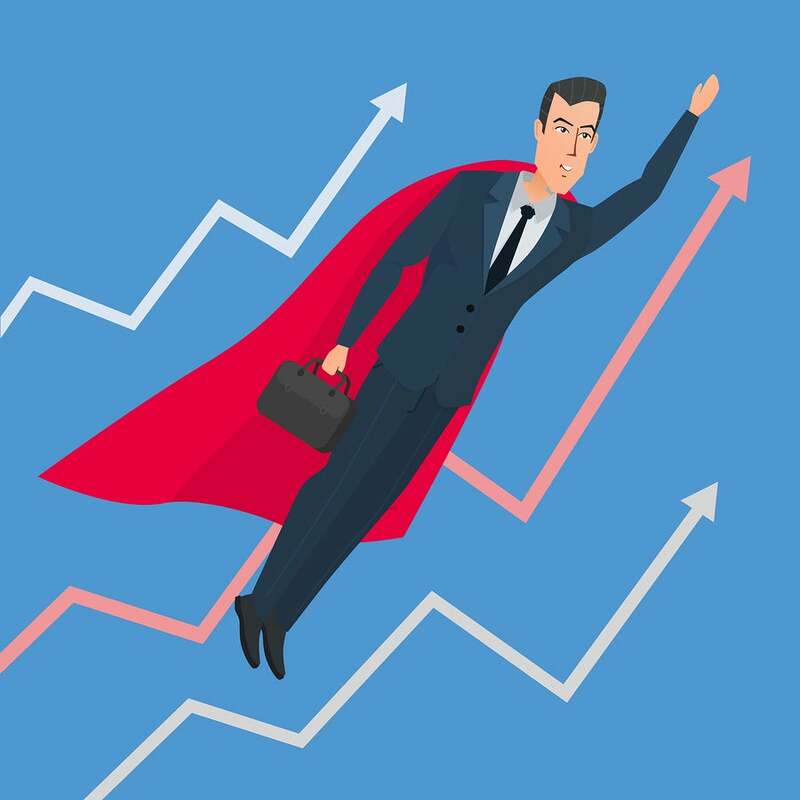 Israel Chemicals has an expected earnings growth rate of 11.1% for 2019. Its shares have surged 37.6% in a year’s time.